#TeamAguas: Party Time with The Body Shop's Winter Trend Make-up Collection!! 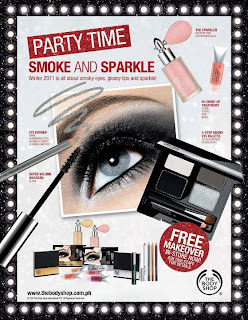 Party Time with The Body Shop's Winter Trend Make-up Collection!! Getting ready for the parties this coming holidays. The Body Shop's award-winning make-up artists will help you achieve the perfect Christmas party look using The Body Shop's Winter Trend Make-up Collection!